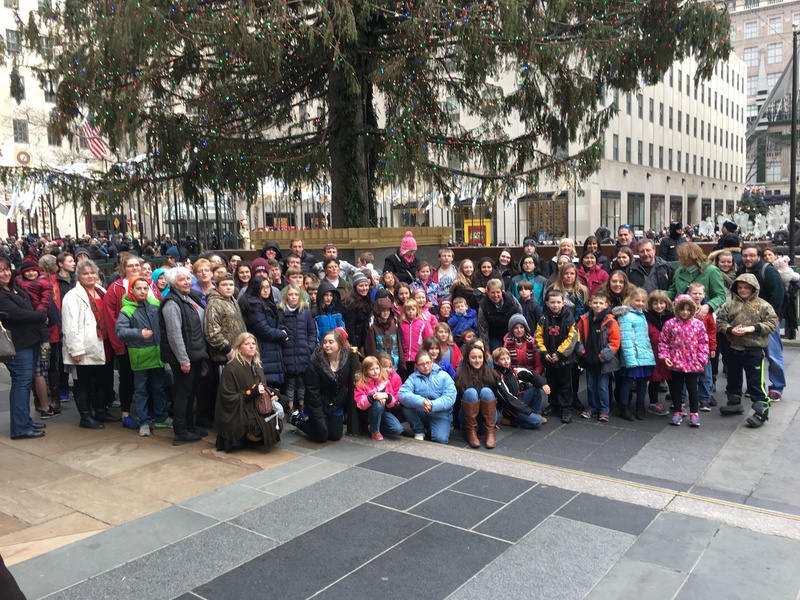 On December 21st we took a school-wide trip to NYC to see The Lion King on Broadway. We also walked to Rockefeller Center to see the Christmas tree. We would like to thank Mrs. Sharon Tucker for all her work organizing the entire trip, as well as our Arts in Education program and the O’Connor Foundation for the funding. Also, thank you to Oneonta Bus Lines and their two wonderful drivers who got us all there and back safely. It was a wonderful day! On Thursday, January 5th Mrs. Lauren Green, our secondary Math teacher, took some of our best and brightest students to SUNY Oneonta for the Upstate Academic Competition. The students who represented Andes are listed alphabetically: Serena Bacon, Montana Damone, James DePierro, Noah Dougherty, Alexis Redden, Winnie Richards, Journey Sulger and Michaela Valkavich. ACS made it to the quarter finals and ended up taking 4th place out of 14 schools overall. Congratulations!!! The Travel Club has been planning their trip for this year. They will be arriving in Los Angeles, CA, on Wednesday, February 15th, where they will tour LA and the surrounding area for the next three days. They plan on taking a Hollywood studio tour, visiting the Hollywood Walk of Fame, Venice Beach and many other LA locations. After that they will head north to the Sequoia National Forest, take a bike tour in Ojai, and a tour through the Winchester Mansion with stops along the fault lines. Their last three days will be spent in San Francisco with a Segway tour of the Golden Gate Park, a tour of Alcatraz, visiting Fisherman’sWharf and hiking along the Pacific coast. The Drama Club has begun working on their spring production of Into the Woods. The show will take place on Friday, March 31st, Saturday, April 1stand Sunday, April 2nd. More details will be coming later….please stay tuned.